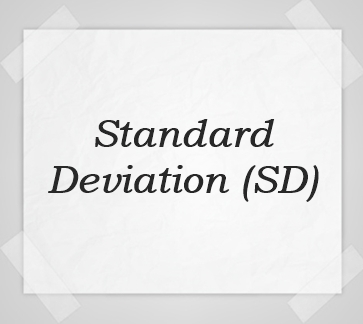 In simple terms, Standard Deviation (SD) is a statistical measure representing the volatility or risk in an instrument. It tells you how much the fund's return can deviate from the historical mean return of the scheme. The higher the SD, higher will be the fluctuations in the returns. If a fund has a 12 percent average rate of return and a standard deviation of 4 percent, its return will range from 8-16 percent. To find standard deviation on a mutual fund, add up the rates of return for the period you want to measure and divide by the total number of rate data points to find the average return. Further, take each individual data point and subtract your average to find the difference between reality and the average. Square each of these numbers and then add them up. Divide the resulting sum by the total number of data points less one -- if you have 12 data points, you divide by 11. 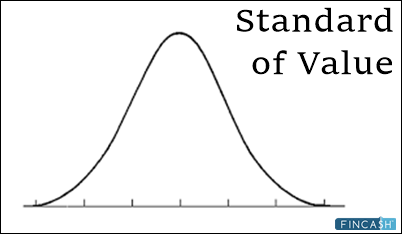 The standard deviation is the square root of that number. Let's find the SD of two different Mutual Funds. First, we will calculate their average return for the last five years. Then, you divide the sum of the squares from the first step by the 1 less the number of years (∑/n-1). Using the functions one can determine the SD of the fund. ☆☆☆☆☆ Rated 3, based on 2 reviews.